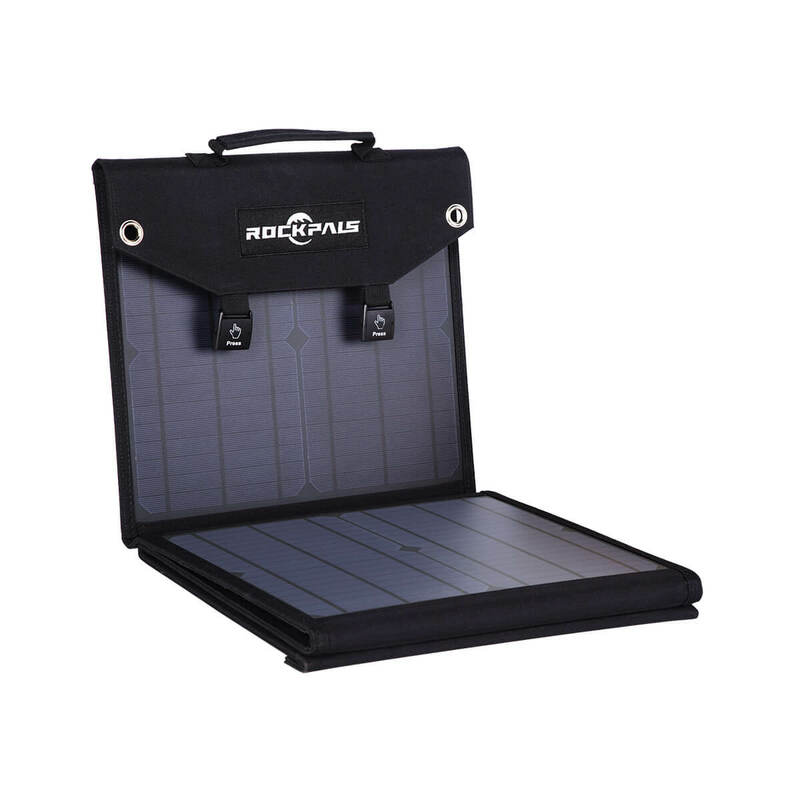 High conversion efficiency provide enough power to charge your gear and devices day and night. 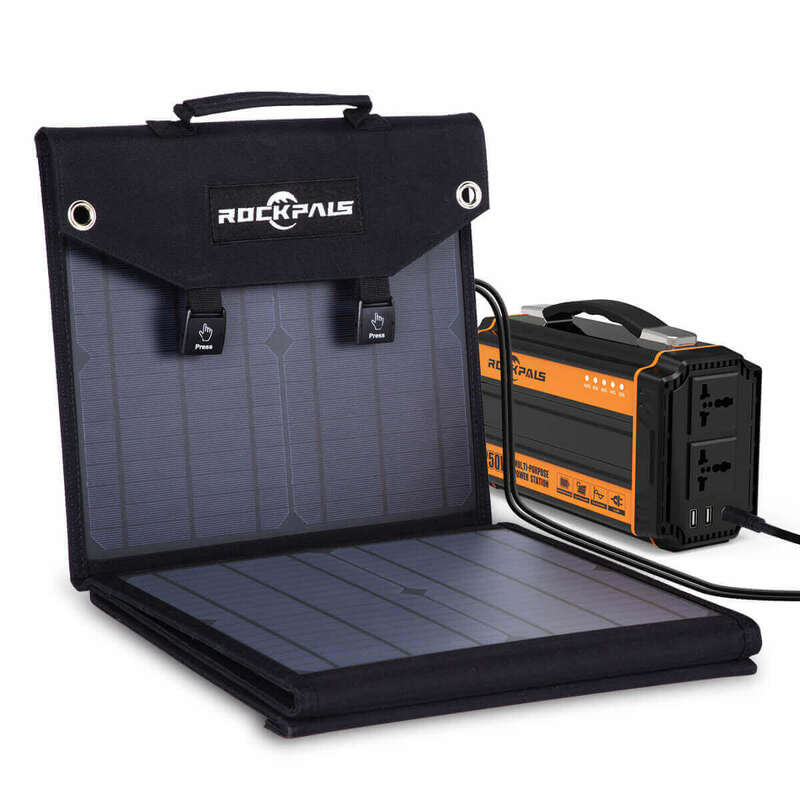 Compatibility - Solar Generator: Suaoki Portable Generator, Goal Zero Yeti 150 Power Station, Paxcess Generator Battery Pack. 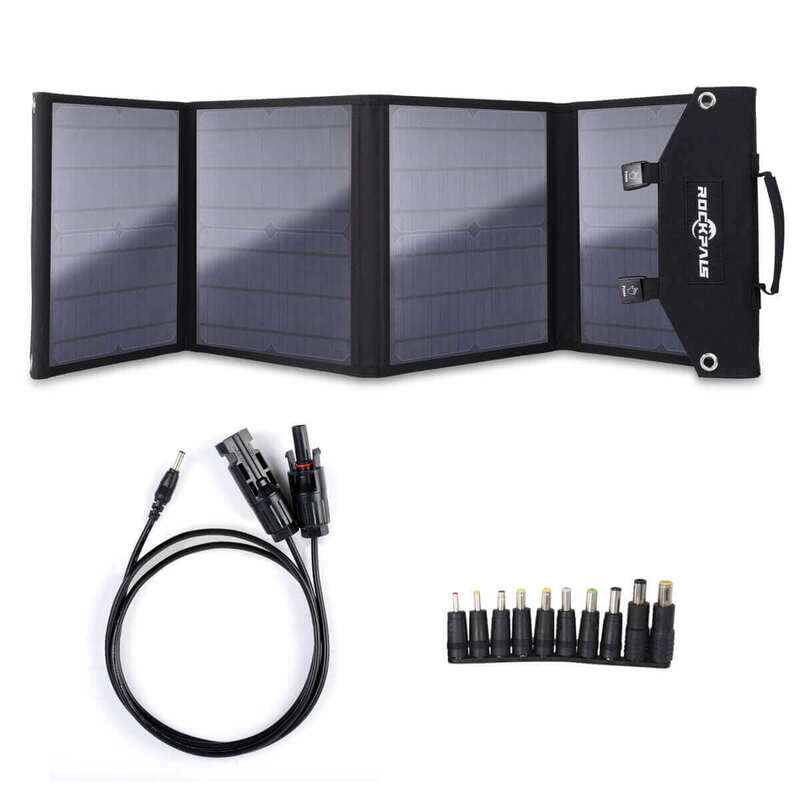 Webetop Portable Generator - 5V USB devices: Smartphones and tablets(iPhone, iPad, Samsung Galaxy, etc.). 3 USB Charging Ports Intelligently detects your device, provides its fastest possible charging speed up to 2.4A per port. 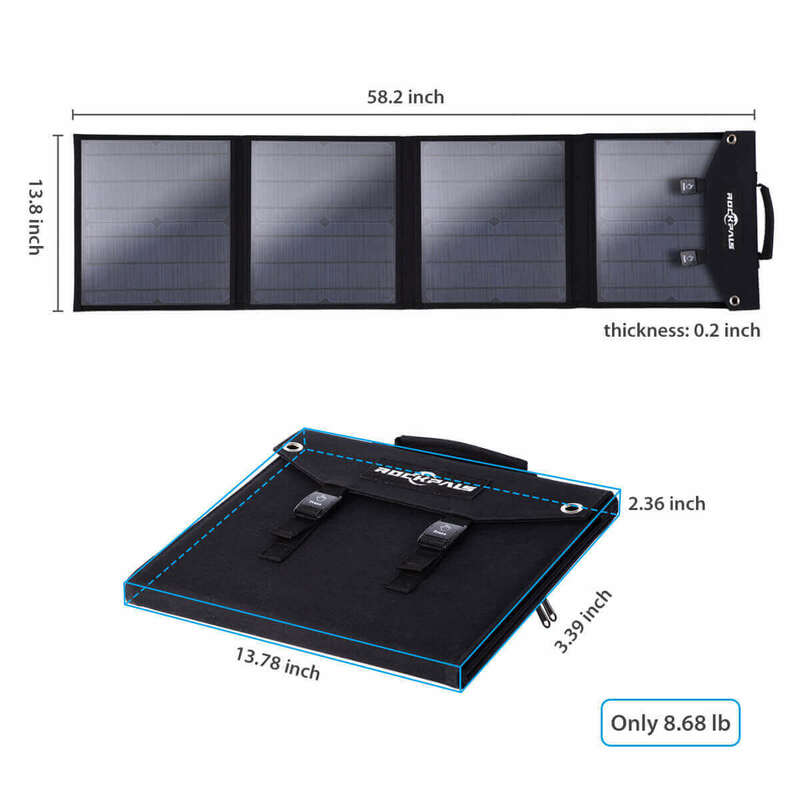 Foldable Design Easy to be folded to the size of magazine, can be put in your bag, as a portable direct power to carry. Tips: 1, It is not recommended to charge laptops. 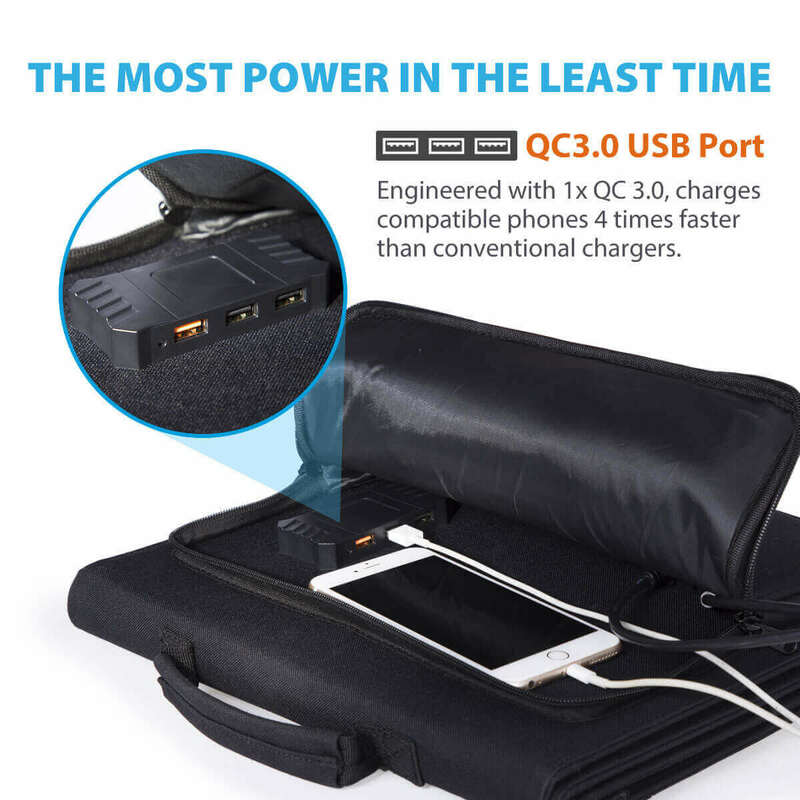 2, For better charging efficiency, pleae do not charge with DC port and USB ports simultaneously. 3, The junction box is not waterproof and please keep it dry. 4, Please keep your device cool while charging. 12-Month warranty since purchase date and liftime friendly customer service.